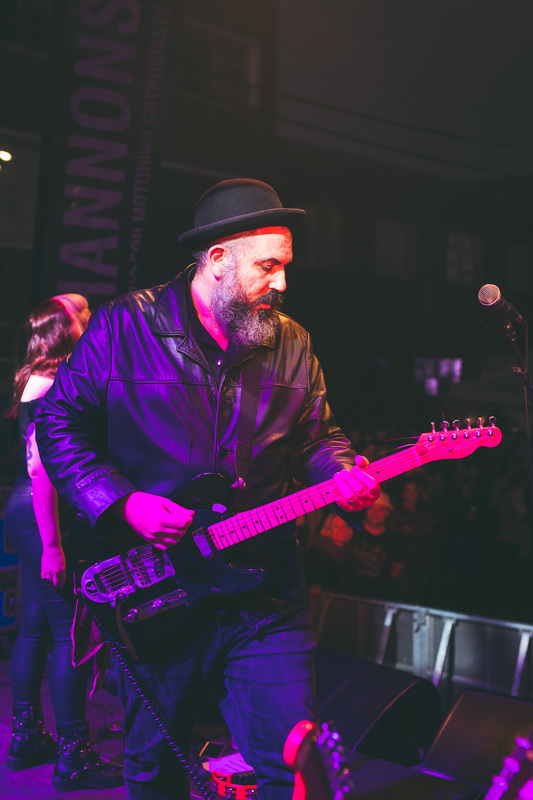 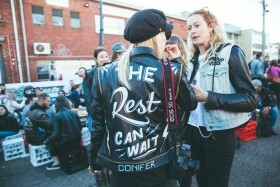 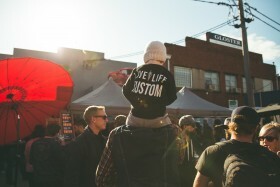 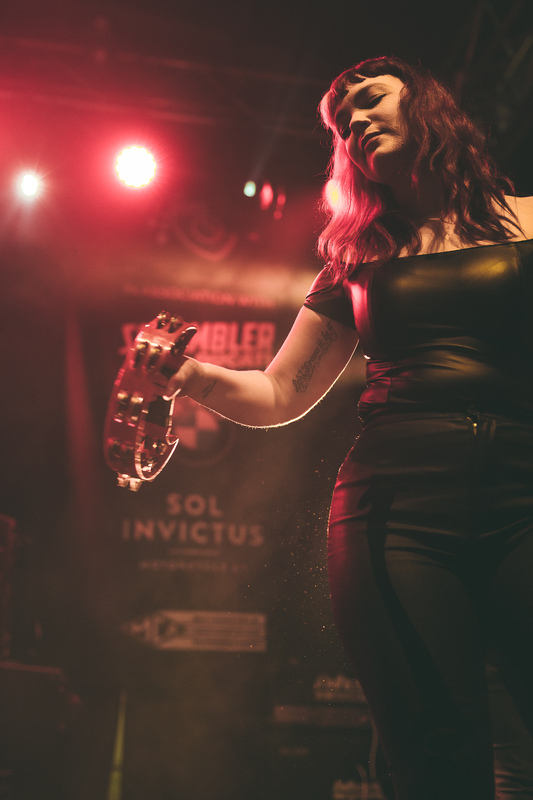 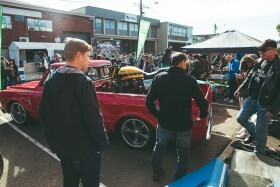 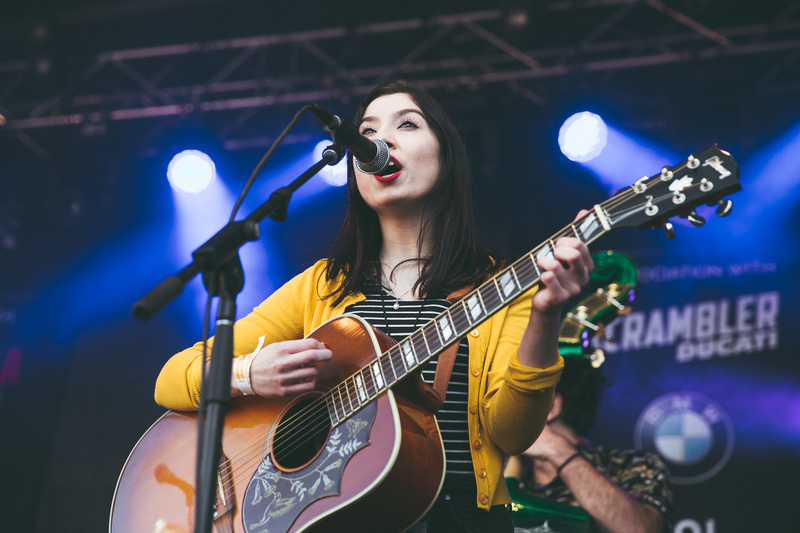 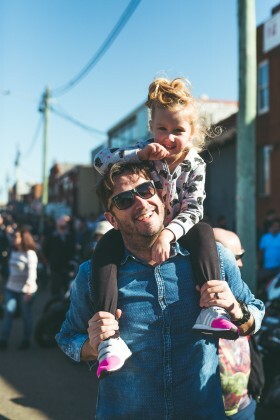 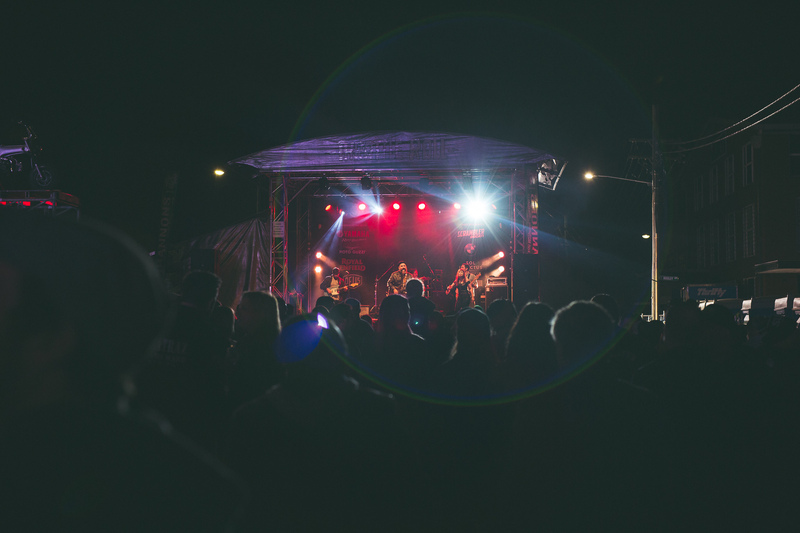 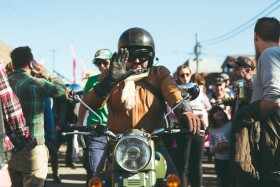 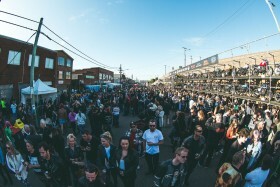 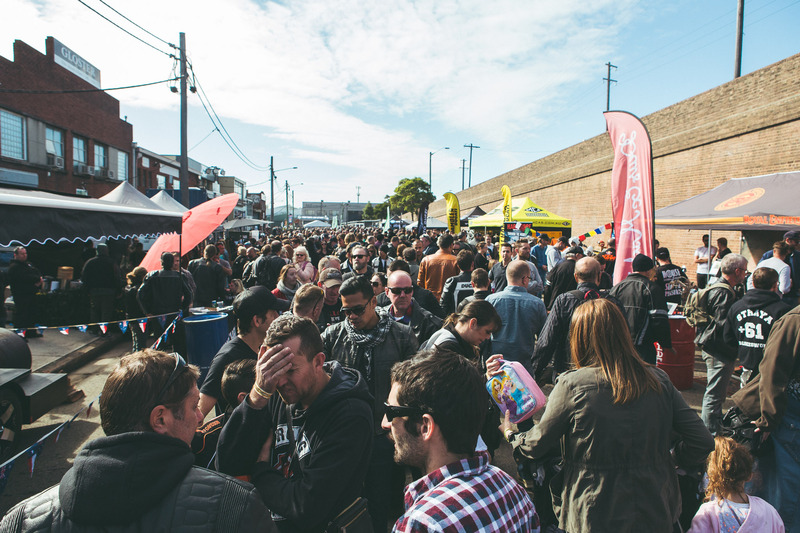 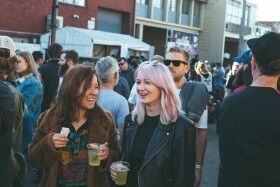 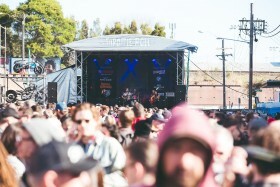 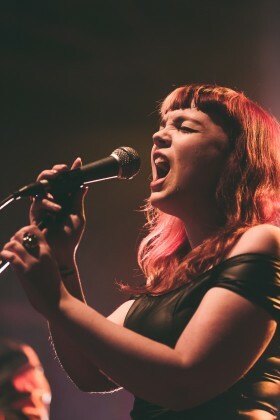 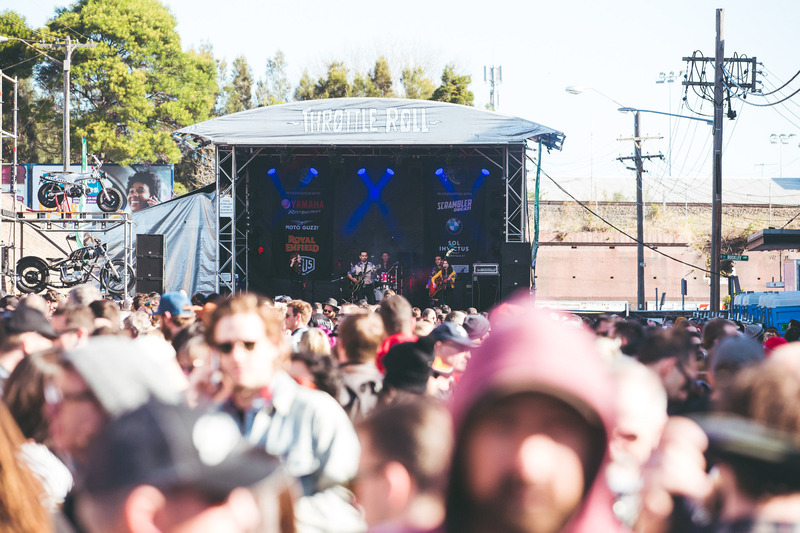 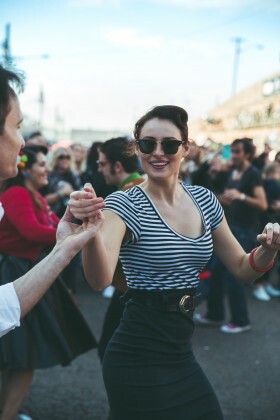 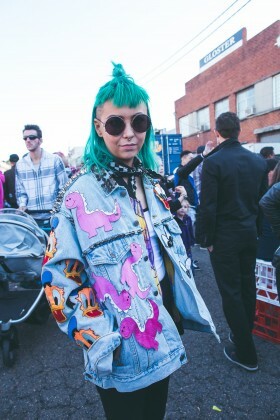 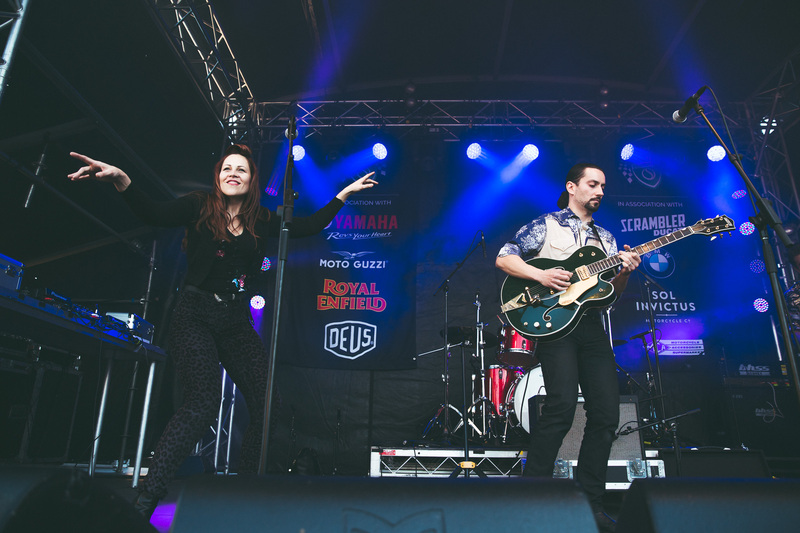 The sky could not have been more perfect, as the gods beamed their warm favour down upon the rows of bikes, trade stands and food trucks that eagerly awaited the growing crowd in Marrickville. 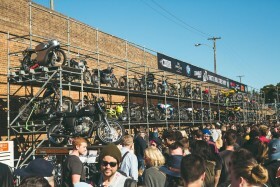 The bikes from the morning’s ride wheeled into the venue as punters lined the gates, showing their pre-paid tickets or purchasing some at the booth. 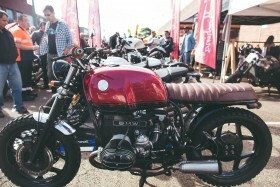 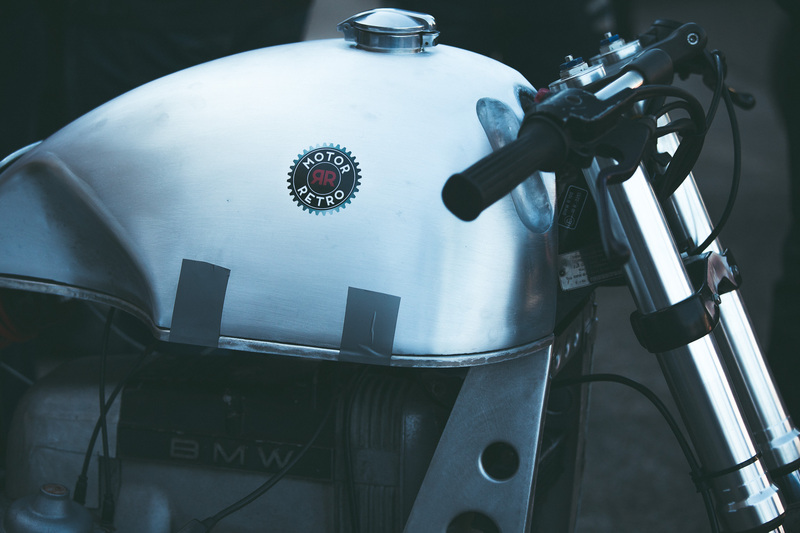 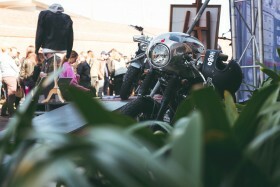 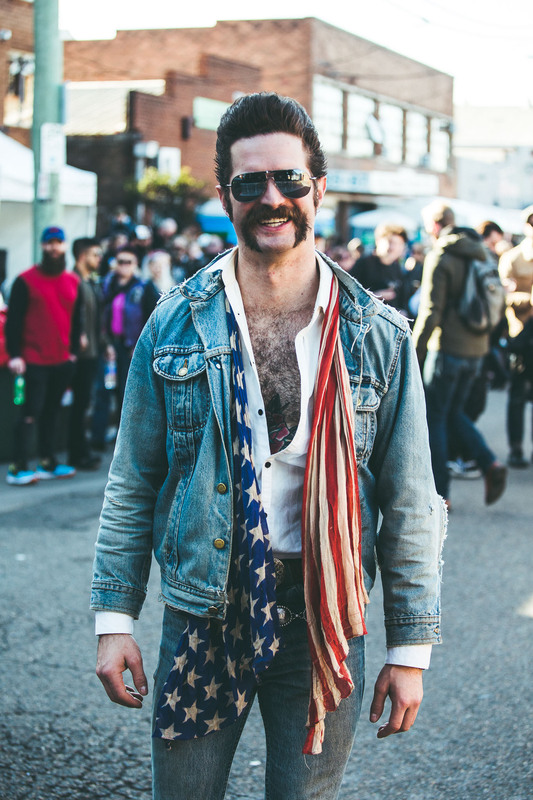 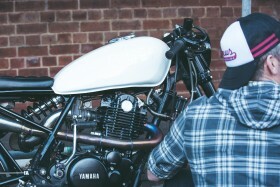 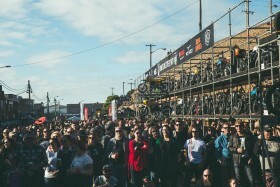 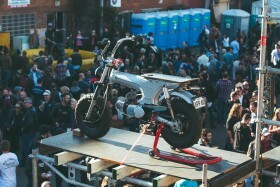 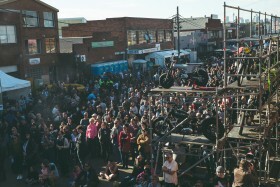 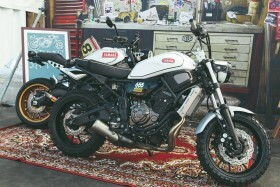 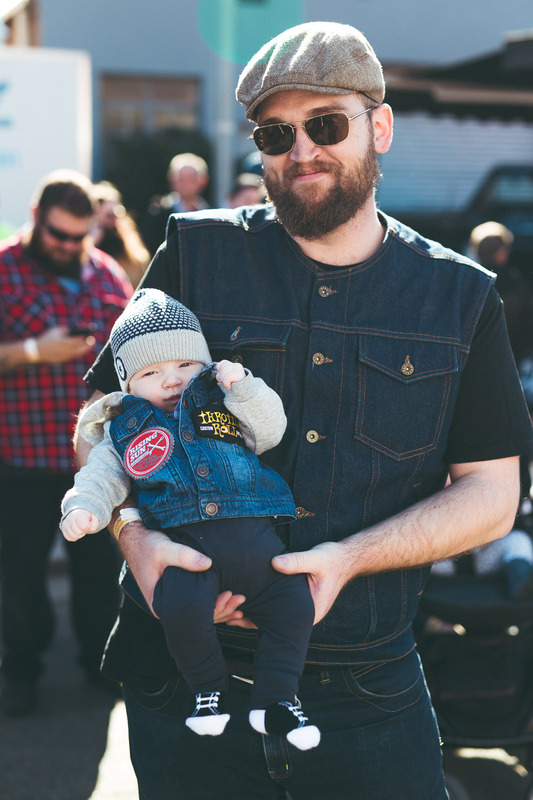 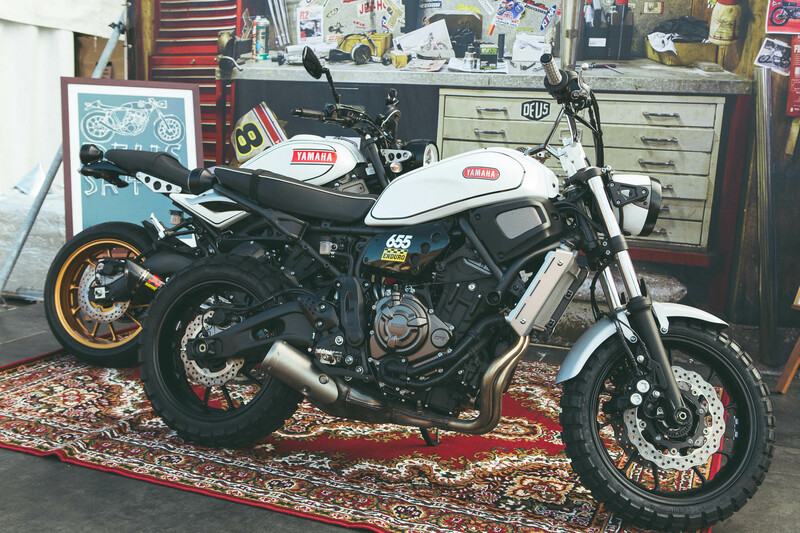 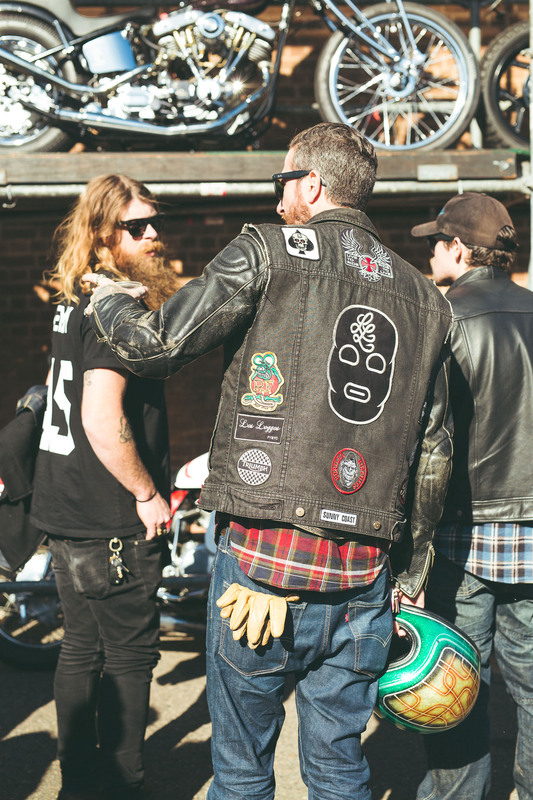 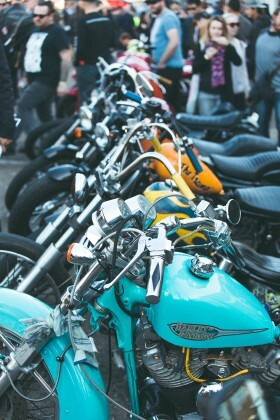 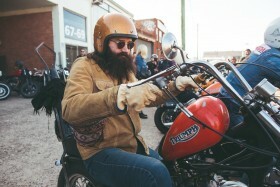 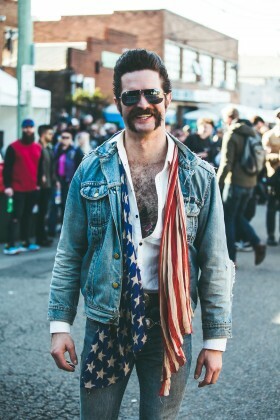 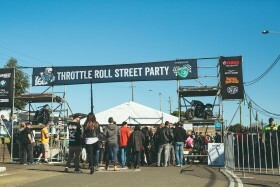 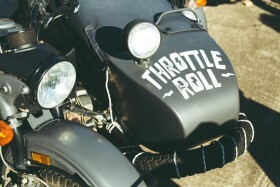 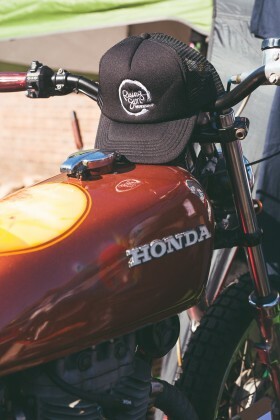 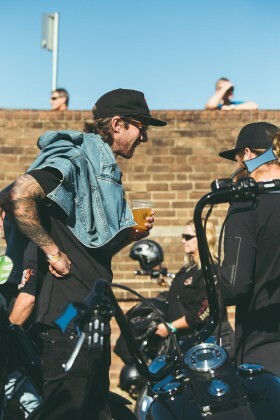 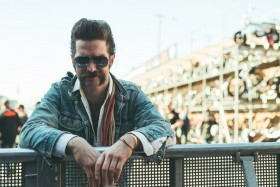 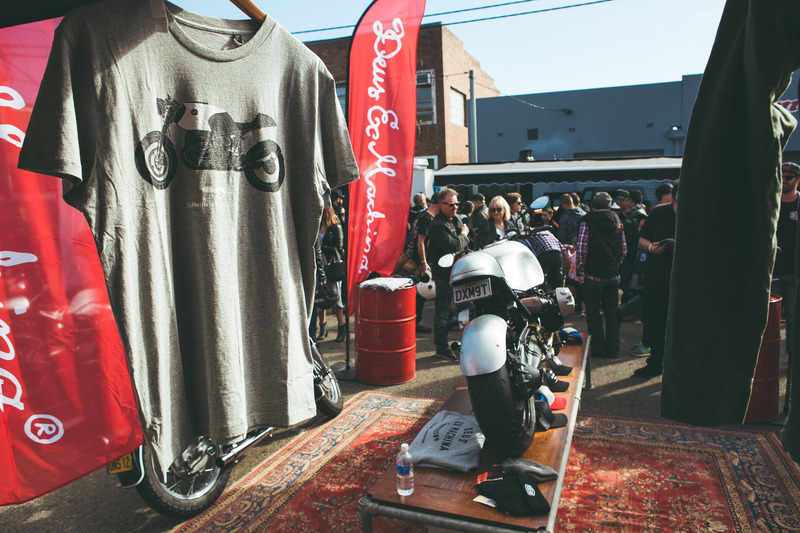 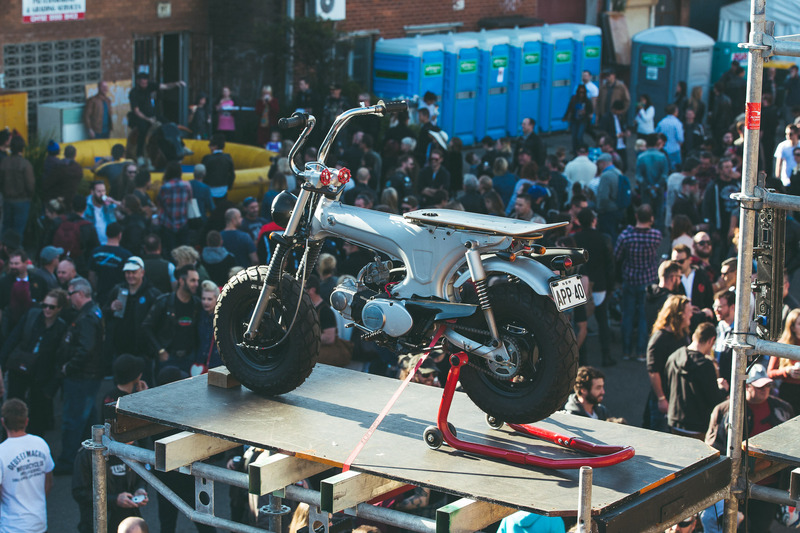 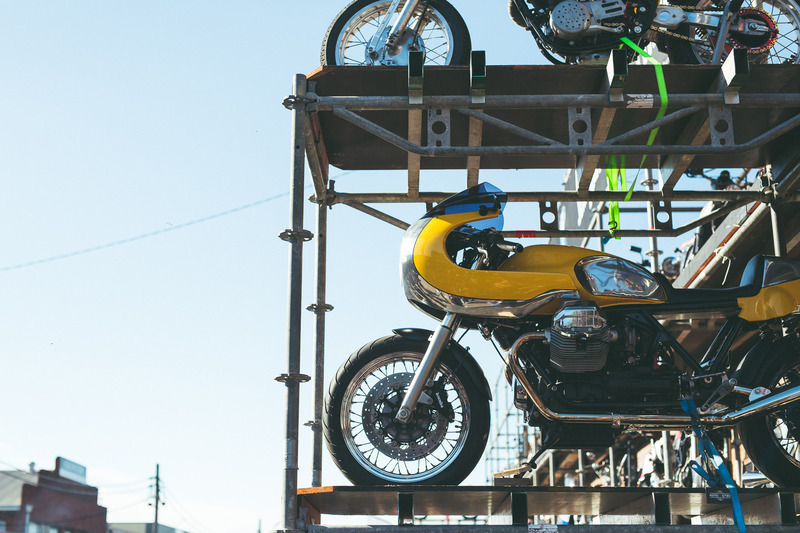 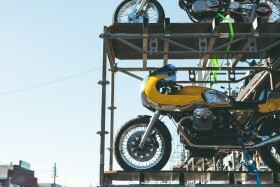 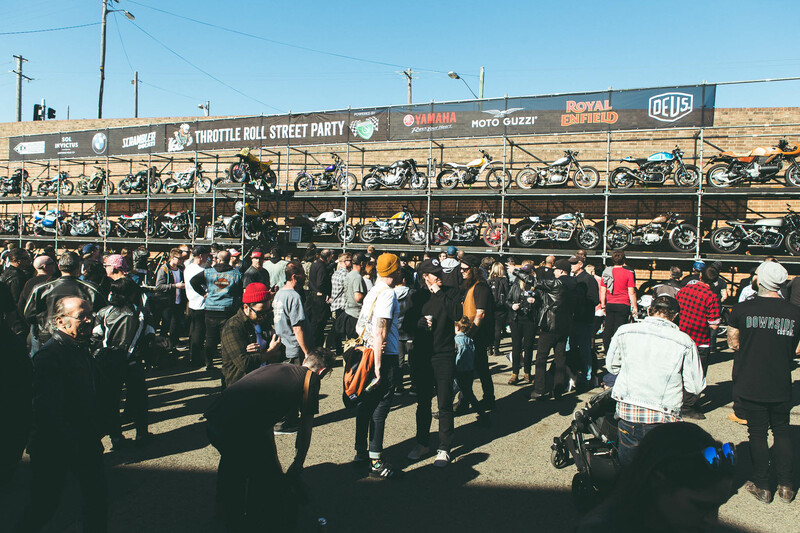 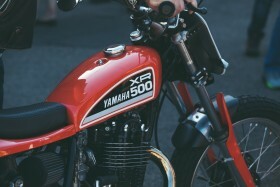 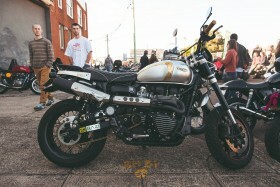 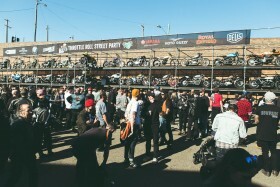 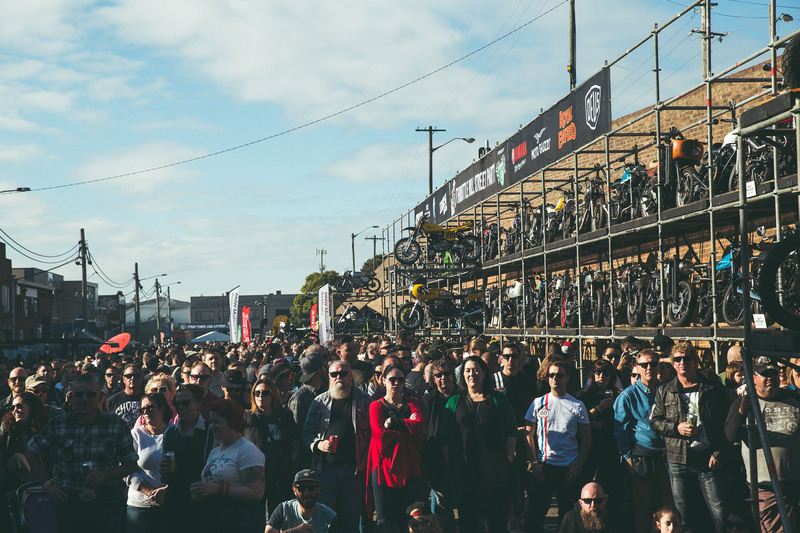 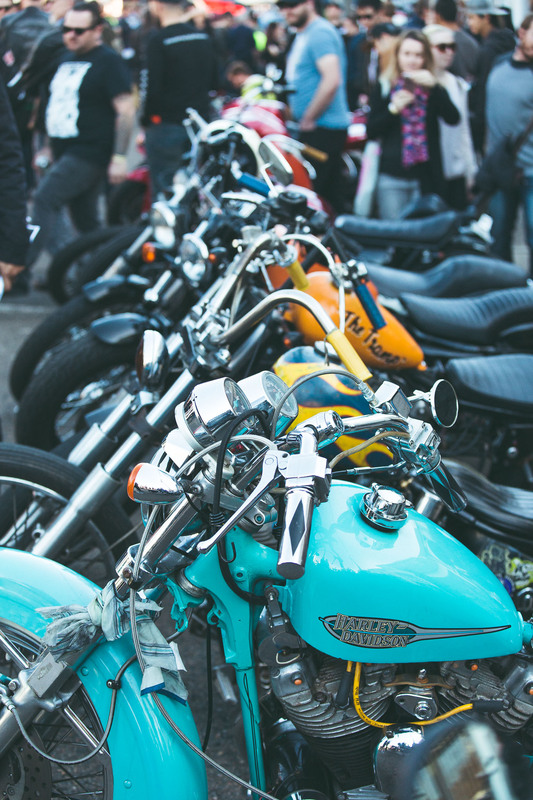 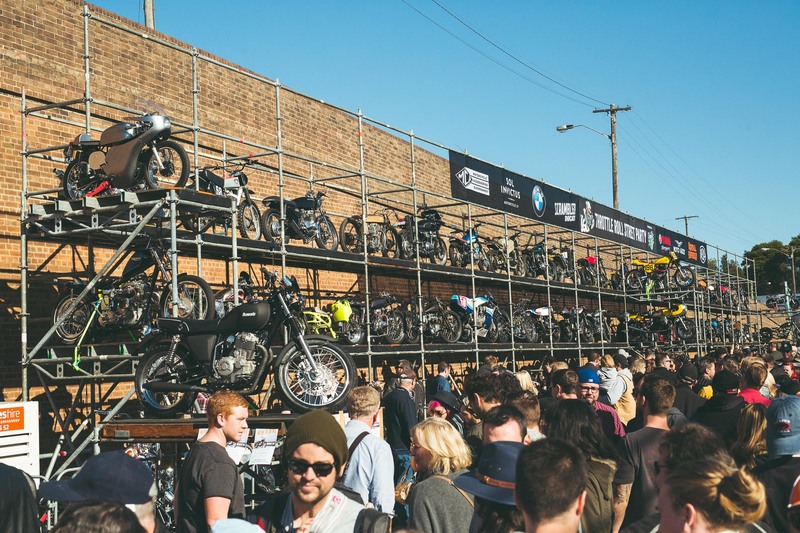 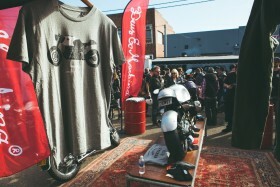 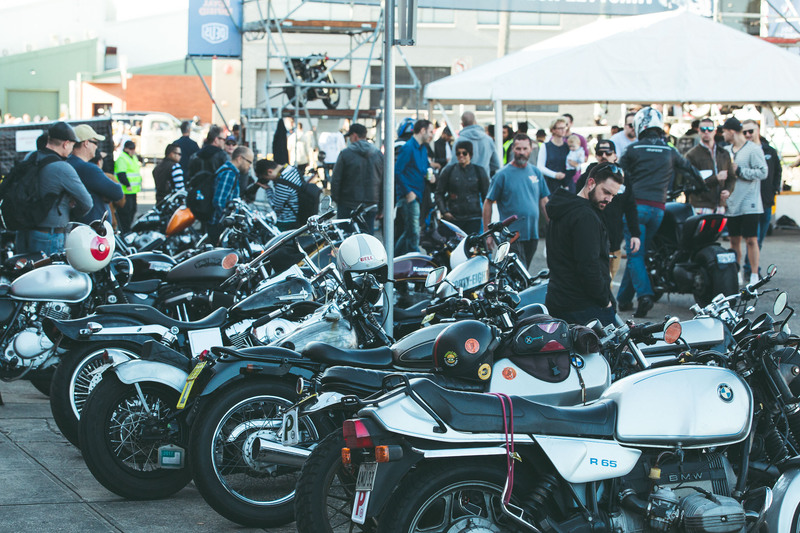 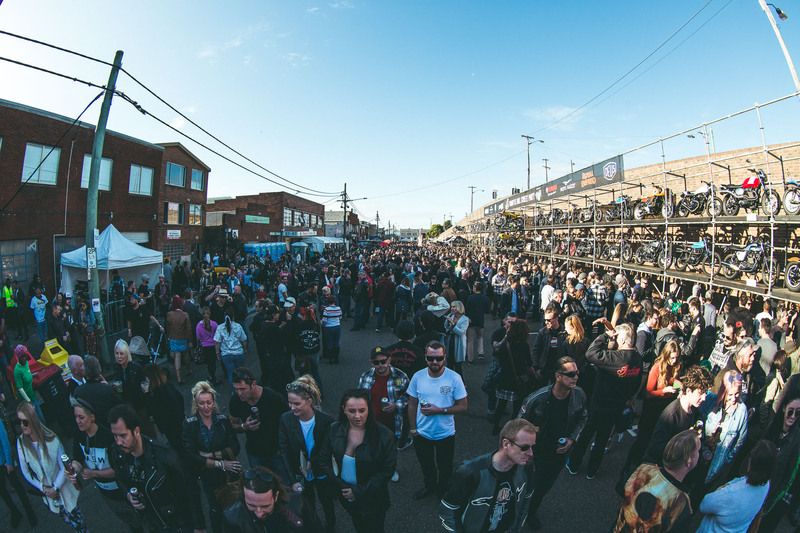 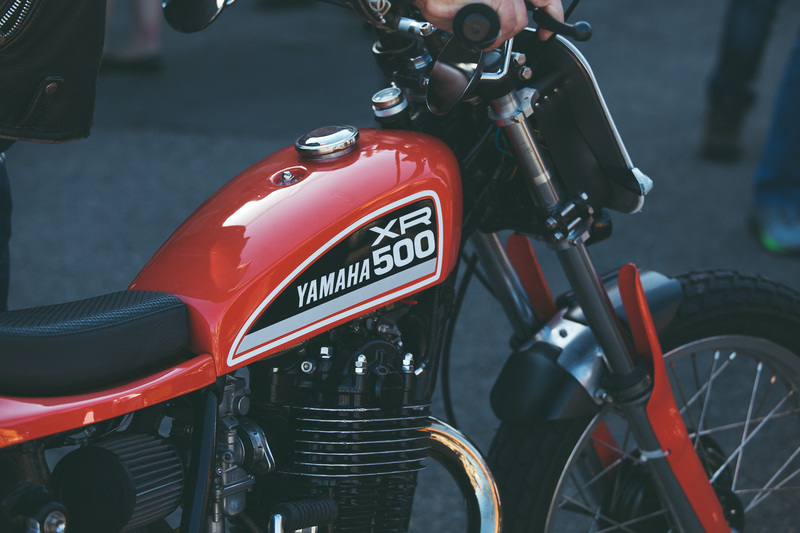 The essence of Throttle Roll shone as the huge variety of people in attendance mingled and admired the 65+ bikes that were on display across three tiers of scaffolding. 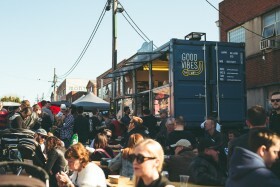 After the coffees were downed and folks started to defrost, grumbling tummies were appeased with amazing food by Bovine & Swine, Tsuru, Happy As Larry and Fired Up. 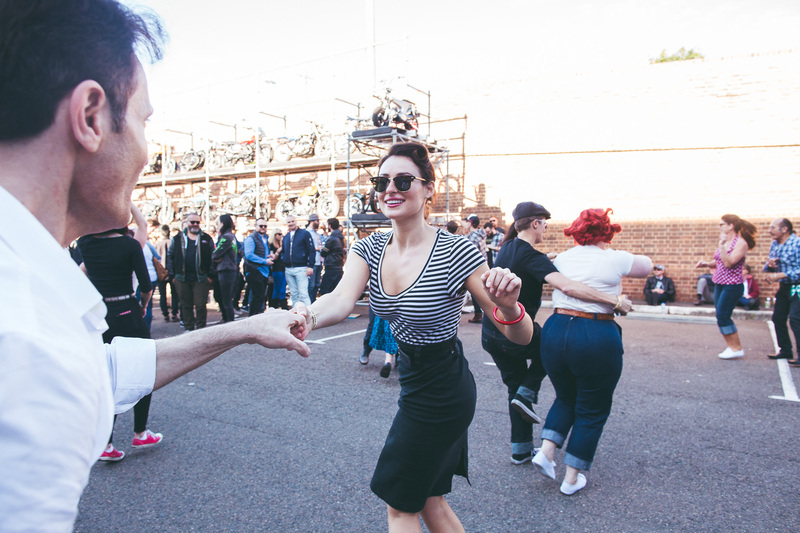 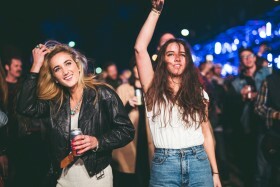 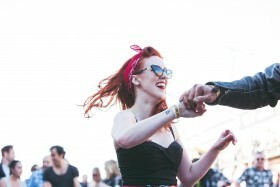 Once the music kicked off, the day was truly in full swing. Young and old took to the front of stage to dance and bop along to the likes of The Snowdroppers, Pat Capocci, Los Tones, The Persian Drugs, Deep South & Down, Wes Pudsey & the Sonic Aces, Frank Sultana & The Sinister Kids and The Drey Rollan Band while Limpin’ Jimmy & The Swingin’ Kitten provided plenty of music and banter between sets along with The Slippery Trouts DJ’s later into the evening. 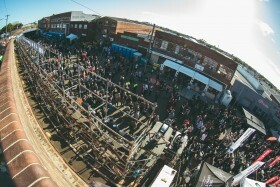 Kids of all ages had a go on the Bucking Bull ride that was available for free all day, and a hefty crowd gathered around it well into the evening as more jubilant folks had a go, much to the amusement of everyone there. It was fantastic to see so many people, from so many walks of life and age brackets all come together with mutual enjoyment for this day – along with plenty of adorable pets! 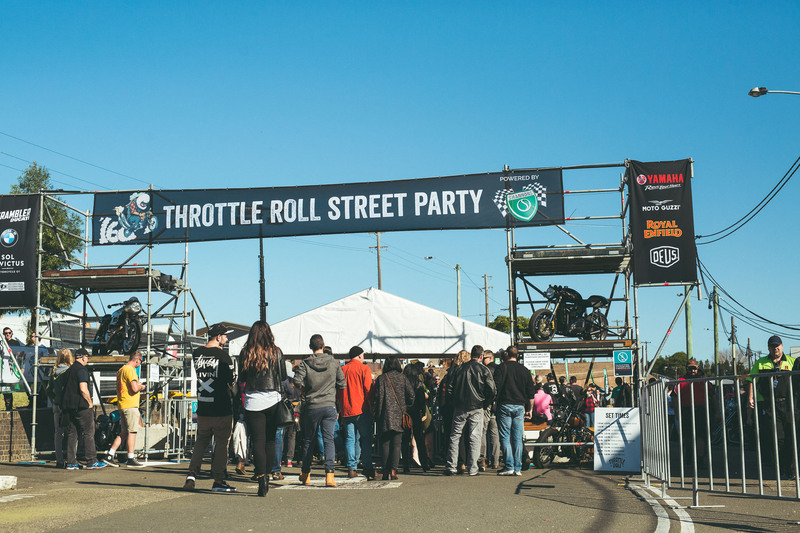 By the end of the day over 6,000 people have enjoyed the event, a tremendous number that will no doubt continue to grow along with Throttle Roll.